Thibaut Courtois’ plaque outside Atletico stadium vandalised. 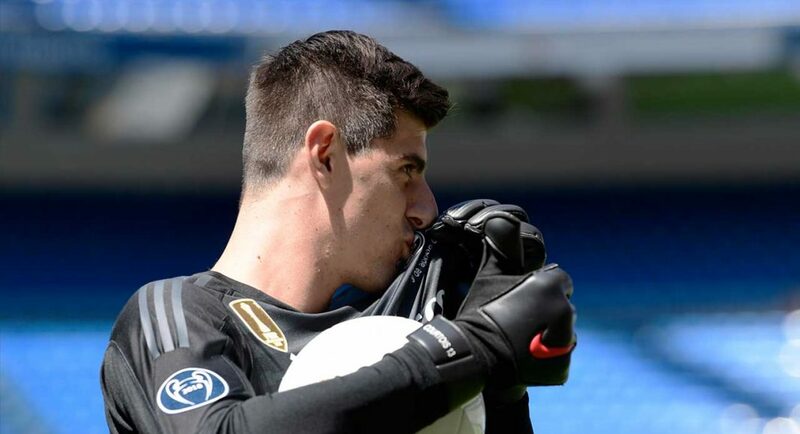 Courtois signed for Real Madrid and subsequently kissed the badge. Thibaut Courtois’ plaque outside Atletico Madrid’s stadium has been vandalised. Oh no, what a disaster! Courtois signed for Real Madrid after deciding against returning to Chelsea training. He disrespected the fans and his teammates in going AWOL – tainting his legacy here in doing so. When being presented at the Santiago Bernabeu, the former Atletico goalkeeper also opted to kiss the Real badge, just days after leaving Chelsea. It was a slippery move from a slippery man. Chelsea fans have turned on Courtois, but we’re not alone. Atletico fans are in uproar too. Courtois had a special place in their hearts after spending three-years on loan with them – but no longer. Each player to play more than 100 official games for Atletico has had a plaque dedicated to them outside their newly-built Wanda Metropolitano stadium. It was an obvious target for angry Atletico fans, who took their opportunity to have vengeance.